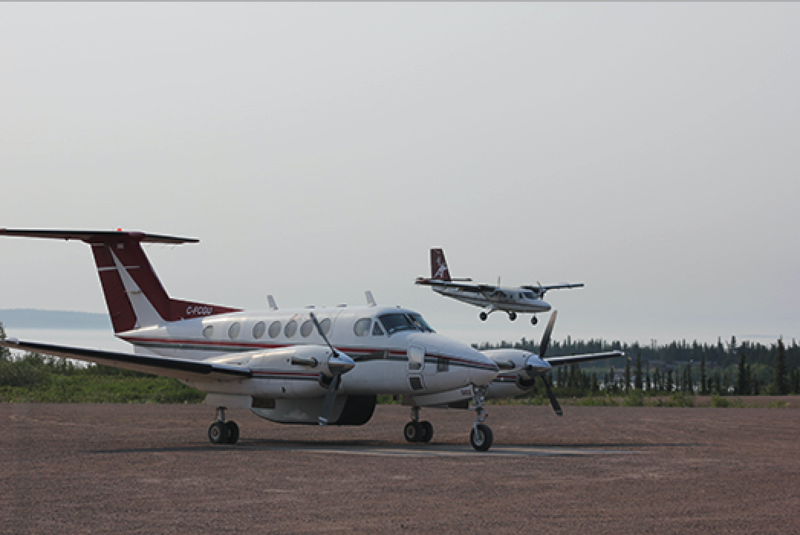 According to Air Tindi’s president Al Martin, contact with the aircraft was lost between 09:00 and 09:30 when the aircraft was approximately 13 to 17 nautical miles outside of Whati, which lies about 86 nm northwest of Yellowknife. The only occupants were the two pilots. Sergeant Alfred Beaverho of the Canadian Rangers told CBC News that the aircraft was spotted not far from the community of Behchoko, located a little over halfway along the aircraft’s flight path. A team of Rangers headed out on snowmobiles to assist, but were unable to reach the crash site due to deep snow and adverse weather conditions. An RCAF Search and Rescue CC-130 Hercules that was dispatched from Winnipeg Wednesday afternoon to help with the search spotted the aircraft late in the day and two SAR techs parachuted to the site, according to RCAF Captain David Lavalle. This morning confirmation came in that both pilots had perished. A Transportation Safety Board team has been dispatched to the scene to investigate. Meanwhile, Air Tindi has suspended their flights. Coincidentally, another King Air 200 has disappeared in the North one day before the Air Tindi incident. A flight operated by Guardian Flight in Alaska took off from Anchorage on a flight to Kake, in the Alaskan panhandle northwest of Wrangell. Debris has been spotted in the water near Admiralty Island, about 18 nm to the west of Kake, but there has been no confirmation it is from the missing King Air.